Member and Rep Information: Extensive information about various types of companies (members) and associated individuals (reps) can be stored. Various coding options such as member statuses and rep attributes are available for use in specifying differences among companies and individuals. These coding options are completely customizable to fit your chamber’s unique membership structure. User-defined Fields: User-defined Member Coding Schemes allow you to create your own custom data fields to further categorize members, e.g., minority owned businesses, legislative districts, etc. Contact Tracking: Contacts made to members and prospects can be tracked, and an automatic reminder alerts you to needed follow-ups. Referral Tracking: Referrals to members in response to consumer inquiries can be tracked. You can easily email inquirers information about referred members. You can easily send your members information about these referrals, or members can view them online through the Members-only section in your website. Committee/Group Management: Both Rep Groups and Member Groups can be created to track and manage individual and company membership in any type of grouping, e.g., committees, interest groups, etc. CC-Assist’s smart billing system ensures you never miss out on revenue or double enter transactions. Built-in features prevent you from making critical billing errors, and an automated QuickBooks interface adds your accounts receivable information into the QuickBooks desktop application. Dues Billing and Forecasting: Member records store each member’s annual dues amount, billing frequency, billing anniversary, and next date for dues billing. 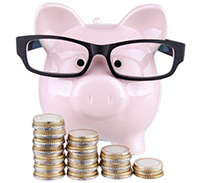 Members can be automatically billed for dues on a monthly, quarterly, semi-annual, or annual frequency. Non-dues Billing: Invoices for charges other than dues can be created individually or in batches. Invoice Batches distinguish different types of non-dues invoices so that you can work with only those desired. Invoices and Statements: Invoices or account open-item statements can easily be emailed or printed as often as desired in batches or individually. Members can view and pay for invoices in their online Member Account on your website. Billing Diagnostics: A built-in report analyzes your members’ billing information and helps you find critical errors in your accounts. Billing Analysis: Invoice listings show total amounts billed, paid, and still outstanding for a specified time. Additionally, reports can be generated to identify members with invoices that are past due by 30, 60, 90, 120 or more days. Automated QuickBooks Interface: Accounts Receivable transactions in CC-Assist can be quickly copied into the associated accounts in your QuickBooks desktop application Customer Center via an automated interface. CC-Assist has the most flexible reporting capabilities in the industry. Built-in analytics and comprehensive user-defined reports allow you to generate any desired report without needing programming knowledge. User-defined Reports: A report wizard guides you through creating custom reports in which you select only the members, reps, and data that you want. Report criteria can be “memorized” for future retrieval. 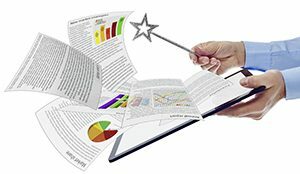 Reports can be printed or saved in a variety of file formats. Analysis Reports: Reports can be generated that analyze information such as membership retention and turnover, dues billing activity, and forecast for budget planning, etc. Executive Summary: An on-demand summary report provides chamber executives critical information to evaluate chamber performance, easily identify potential problems, and develop new directional initiatives. CC-Assist is an extremely user-friendly program that any staff member can operate without requiring you to have a dedicated software guru in the office. Our program presents a consistent look and feel throughout the program to ensure you can work easily in any of the modules. Efficient and Intuitive Navigation: A logically structured Module Explorer guides you to the various modules in the program. Configurable Tables: Each table view provides a comprehensive set of available columns. Each user can customize their own table views to display desired information by adding/removing columns. Timesavers: Libraries store frequently used transaction line items, invoice messages, and event offerings for instant retrieval when creating and printing invoices and setting up new events. Recurring events can be efficiently managed with event templates or instant event copy procedures. Work Offline: When your internet connectivity is disrupted, you can continue to work offline in CC-Assist. This important feature is not always available in similar software programs. Help System: A complete User’s Guide, Reference Manual, FAQs, and Online Tutorial Videos are instantly available by clicking on the Help menu that appears in any area in CC-Assist. The keyword and phrase search option make answers to your questions easy to locate. Security: Sophisticated built-in security allows an unlimited number of user access profiles to be stored for ease in assigning user rights. Multiple Databases: More than one database can be set up and maintained, and you can easily switch between them. Email: Quickly send emails to your members and reps using one of the many built-in email outputs in CC-Assist, such as event notices, verification forms, and inquiry responses. Or, send custom bulk or personalized emails to your members and reps using CC-Assist’s automation with MS Outlook and Word. Texting: Instantly communicate with your member representatives and event attendees with our automated texting procedure. Texts can be scheduled in advance to make sure your time-sensitive texts are sent when they count. Communication Tracking and Automatic Reminders: Keep track of any communication made to members and prospects with Contact records. Setup automatic pop-up reminders to help you stay on top of your sales goals and alert you to needed follow-ups. Custom Mailing Lists: Create special mailing lists of members and reps, such as ambassadors, committees, interest groups, etc. A suite of Web pages allows you to integrate the information in your CC-Assist database seamlessly into your existing website. Our online pages are mobile responsive and Search Engine Optimized, giving you and your members greater online visibility. We work with your Web designer to ensure that your CC-Assist online pages match the look and feel of the rest of your website. Click on any of the links below to view a live example on our demonstration site. Business Directory: Your CC-Assist membership data is linked with the membership directory in your website. Members can have “enhanced” listings with colored backgrounds, links to the member’s website and email, a map of the member’s location, links to the member’s Facebook, Twitter, YouTube, LinkedIn or other social networking sites, links to online reservation or review pages, the option to include graphics, such as the company logo in the listing, and more. Business advertisements for your members can be included at the top of any Business Category listing. 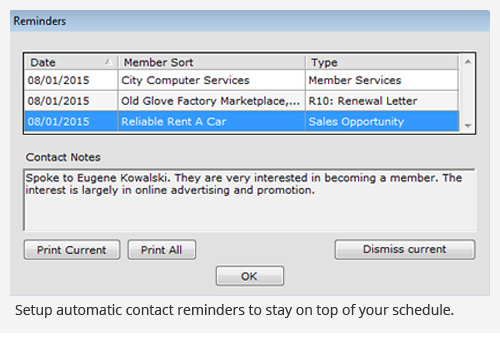 A member’s listing and business advertisement can be easily configured and updated. In addition, you can track detailed referral activity within your directory and easily report this information via email to your members. Calendar of Events: Your CC-Assist events data is linked with the Calendar of Events in your website. Information from an online registration, including invoice and payment transactions, is automatically added to the CC Assist database, eliminating the need for manual entry. Event listings can be customized to include colored backgrounds, images, multiple levels of registration, and capacity limits, etc. Member Account: Members and reps having access may log into their Member Account of your website in order to view and update their information, view account activity, and pay open invoices online. These updates and payments are automatically added to your CC Assist.NET database. Audit reports can be run at any time in order to view online changes made by your members. Community Events Calendar: Make your website a community hub using the CC Assist Online Community Events Calendar to which members of the community can submit their own events online. When a Community Event is submitted online you will receive an email notification and must give approval before it displays in your calendar. Membership Application: Make joining your chamber a snap with our customizable online member application. New members are automatically added to your database to save you time. Member Promotions: Members can advertise promotions online through your website. You can generate more non-dues revenue by offering a “preferred” status which gives a member’s Promotion higher visibility. Members can submit their promotions online. A Member Promotion may include images, descriptive text, requirements, contact information, and a term of availability. You will be able to provide quantitative feedback to your member’s detailing how often their Promotions are viewed. Job Search: You can boost employment in your area and help your members fill job openings with the right candidates by advertising job availability through your Online Job Search in your website to which members can submit their own jobs online. Job applicants can search your job listings in sophisticated combinations to make finding the right job easy. News Updates: You can help keep your members and your community connected by allowing members or non-members to publish news articles in your online news center in your website. Request Information: Refer your members in response to online inquiries and provide your members with detailed sales leads. Keep All of Your Advertising Revenue: CC-Assist’s built-in advertising opportunities are included at no additional cost and you keep 100% of the revenue you earn from ads or enhanced listings. Enhanced Listings: Customize you member’s listings to help their business stand out in your online directory. Members can have “enhanced” listings with colored backgrounds, links to the member’s website and e-mail, a map of the member’s location, links to the member’s Facebook, Twitter, YouTube, LinkedIn or other social networking sites, links to online reservation or review pages, the option to include graphics, such as the company logo in the listing, and more. Category Sponsor Ads: Boost your members’ visibility by selling advertisements for business category listings. Business advertisements for your members can be included at the top of any Business Category listing. Preferred Promotions and Deals: Offer “preferred” promotions or deals which gives a member’s promotion higher visibility with custom colors and top position in searches. CC-Assist’s comprehensive events module allows you to easily manage your most complex events all in one place. Simple online registrations can be setup for any event with an option to accept credit card payments. Event Information: Information about where and when an event is held, event capacity, offerings, attendees, and which registrations have been paid and not paid can be stored. Event reports can include any or all of this information. Event Categories: Event Categories specify which events are viewable in your online Calendar of Events and provide a means by which people viewing your online calendar can easily search for a specific type of event. 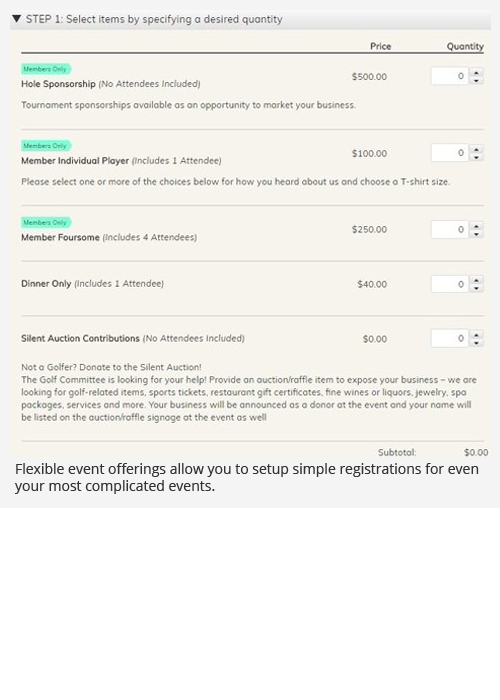 Flexible Event Registration Offerings: Events can have multiple offerings, such as individual seats vs. table registrations, sponsorship options, meal choices, and member discounts, etc. Offerings can be configured to be viewable by both members and non-members, only members with their secure login, or only a custom group of members or reps.
Auxiliary Registration Information: You can configure your event offerings to collect auxiliary information such as allergies or t-shirt sizes at the time of the registration. Event communication: Built-in mails can easily be sent to your event attendees to remind them of an upcoming event or to thank them for attending an event. 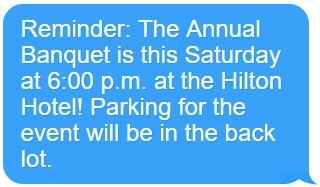 Text reminders or notifications can be sent to event attendees via our automated texting procedure. Name tags and other outputs assist in the organization of an event. Automatic Event Billing: When an event registration includes one or more event offerings for which there is a charge, an invoice and its corresponding payment are automatically created in CC Assist. These transactions are cross referenced, so they appear in the Events, Members, and Accounts Receivable modules. CC Assist also automatically generates event registration confirmation e mails and associated invoices and/or payment receipts via email when an online registration is submitted. Community Events: Help keep your community active and engaged with a Community Calendar of Events. Members of your community can submit their own events online. When a Community Event is submitted online you will receive an email notification and must give approval before it displays in your calendar. Members with access to the Members-only section in your Web site can make online payments for invoices in their accounts in CC-Assist. In addition, payments for online registrations for events can be processed online. 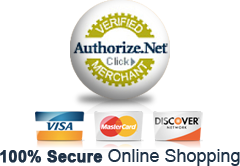 To process online payments you must have your own merchant account and an Authorize.NET payment gateway account. Database Backup: CC-Assist includes a scheduled backup of your local database(s) as well as a nightly backup of internet-enabled database(s) stored on the Chamber Data Systems Web server. Custom Programming: CC-Assist offers extensive flexibility in both functionality and reporting. Even so, there may be times when a user has a specific need that cannot be accomplished in the standard program. In such cases, we can develop custom programs for you for a reasonable fee. We can also develop custom Web services to allow you to display select information within other areas of your Web site and within third-party mobile applications. Training: We guide you each step of the way in learning how to use CC-Assist. A series of sequential lessons is conducted via shared remote sessions by one of our training experts. No session lasts longer than an hour. Lessons are spaced at least one day apart to allow trainees time to complete reading assignments and practice exercises before continuing to the next lesson. Some lessons are taught when you are actually ready to perform a specific procedure, e.g. renewal dues billing. Our experience indicates that learning is enhanced when training is conducted in a “real time” situation. Data Conversion: We can convert data from many other software programs into CC-Assist; thus, eliminating the need for manually reentering your data. To learn more about our complete Website Design and Hosting services and view examples of websites we have designed, visit our Websites web page. To learn more about CC-Assist Mobile, visit our CC-Assist Mobile web page.